GearWrench bushing remover and inserter 9 piece set. GearWrench fuel & trans line disconnect 12 piece set. GearWrench brake service 15 piece set. GearWrench power steering pump puller 3 piece set. GearWrench fan clutch service 8 piece set. GearWrench oil canister socket 3 piece set. GearWrench master bolt grip 5 piece set. GearWrench steering service 7 piece set. GearWrench bearing race and seal 10 piece set. GearWrench axle nut 7 piece set. GearWrench spindle nut 6 piece set. GearWrench radio removal & antenna wrench 3 piece set. GearWrench front end service 5 piece set. GearWrench 10 way slide hammer puller set. GearWrench rear axle bearing puller 3 piece set. GearWrench sensor & sending socket 8 piece set. GearWrench magnetic swivel spark plug 3 piece set. GearWrench sae metric stud removal 8 piece set. GearWrench general purpose bushing 21 piece set. GearWrench double flaring 10 piece tool kit. GearWrench bubble flaring 7 piece tool kit. GearWrench combined double/bubble flaring 18 piece tool kit. GearWrench oil canister socket 6 piece set service kit. GearWrench rear brake caliper 11 piece set. 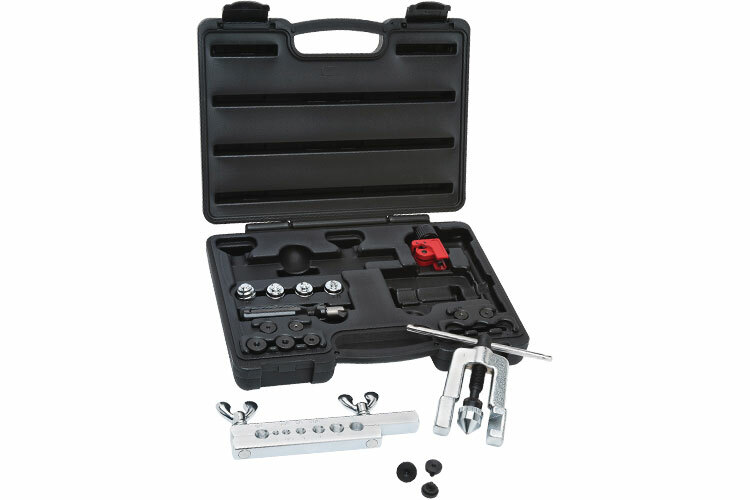 The 41880D GearWrench Combined Double/Bubble Flaring 18 Piece Tool Kit is one of thousands of quality tooling products available from MRO Tools. Please browse GearWrench Service Kits for tools similar to the 41880D GearWrench Combined Double/Bubble Flaring 18 Piece Tool Kit. 41880D GearWrench Combined Double/Bubble Flaring 18 Piece Tool Kit description summary: GearWrench combined double/bubble flaring 18 piece tool kit. 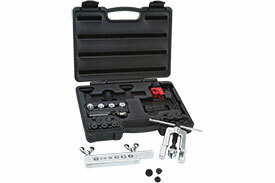 Quantity discounts may be available for the 41880D GearWrench Combined Double/Bubble Flaring 18 Piece Tool Kit. Please contact MRO Tools for details.